Applications have closed. We will announce promotions after Easter. Why would i make a good Helper: ive always maintained a positive presence on the server and done my best to make it a better place for everyone, also im a top bloke so why not. I believe I'd make a good helper as I love to contribute to the community and have any and every opportunity to help those within it. I love welcoming and helping new players, alongside helping the players who require it when I can. I like to think I'm friendly and approachable, so that people find it easier to talk to me for help, or whatever they require. I will also continue to enforce the server rules at the same time. Thank you! Join Date: I don't know the exact date but i joined when old blue was still the current world before the first red world. Timezone: EST but i frequent the night side. Why would I make a good Helper: I always try to be friendly and joke around the server. I provide advice and answers questions. I can handle stress very well and i'm very patient when it comes to new players.I run a town that has 15 residents and do my best that all my residents are happy and enjoy the best of what Applecraft has to offer. Applecraft has been a huge help in my life getting over college and i want to try and help it more. Thank you for reading my application. Why would I make a good helper-Anytime I see someone edging towards breaking the rules I tell them this, and warn them until they stop or an actual staff member gets involved. I enjoy playing on Applecraft, I've played almost everyday since joining and i'm as active as possible. I help out as much as I can and sometimes even help the current staff I keep a positive attitude and enjoy working with others. Timezone: EST but im on quite frequently. Why would I make a good Helper: I am friendly and help those who need it when i can, I try to keep it pg for the younger applecraft players, and try keep a neutral standpoint on thing until ive figured the issue out. I also used to run my own server in the past and was mod in another, so I have a basic understanding of the role of staff. Why would i make a good Helper: i know everything in Minecraft and i learn many thing in this server i got online every day when i am on line every time someone said need help i will go help him/her in first time so i think i can do the helper job! Why I would make a good Helper: I always help people in need. I am always kind and open to all people and help new people if they need any help. I also always keep it pg when I chat for the younger ac players. I enjoy working with others and always work positively and keep a positive attitude. I help out as much as I can and even if I don't know how to solve an issue, I help as much as I can. 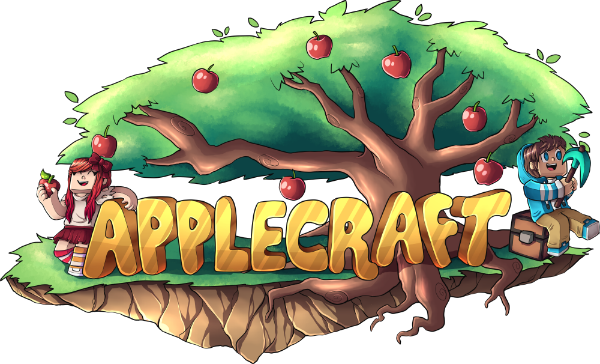 I am as active on applecraft as I possibly can be and try to log on at least 1 time a week even if I am busy. I am active in the chat and help people and welcome people. I also always enforce the server rules and warn people if they break them. I think I am always helpful and can reply to many messages at once. I also think I know a lot about applecraft and if someone needs help I will know the answer. I am also really friendly and always welcome all the new players. If I would be helper I would answer or solve problems quickly and do my work well. This means I won't need to let down other people often who are asking me questions by telling them I am busy. Why would you make a good Helper? : I know a lot of things about the server generally and I can easily answer most questions people ask in the main chat. I also tend to help out a lot of people in chat with whatever they need, such as advice for building, how to fix something or anything else they need. I've already been helper twice however i was inactive, and 3rd time lucky i wont be inactive. I am also on the server quite frequently and as a lot of the staff are not British it would be ideal as a helper would almost always be available in game to assist people. Why would you make a good Helper? I was previously a helper and resigned due to real job work load. I am now much more free. I generally like to help people out, especially the new players. I'm often on and try to comment when helpful anyway so it will be no change to my current activity. Mostly, I like the color green. Why would i make a good Helper: Well I try to be active, I enjoy helping people out with their problems, plus I answer a lot of different types of problems people have, whether they are about Minecraft or the server, I can answer them. I am very good boy. I never kill people or grief houses. That's all from me! Thanks for giving me the opportunity to make one of these. I would be a great helper because i have been with the community for a long time and i want to help out I also have experience as an admin for a similar server I enjoy the experience of this server and I would love to help it out I am very compassionate and am eager to help my fellow apple crafters in my life I am singled out and miserable but on the server I am with people who understand and respect me I would love to serve this amazing community after all it has done for me I have been through a lot but everyone on the server makes me welcome thank you for reading my application. Just a laid back guy, and doing drop parties often enough, being friendly and very energetic. When did you join Applecraft? I’ve been on the server awhile so I know a lot about it. I also get along with people very well. I am very active on the server and I’m on in the afternoons through late night. I help as much as I can and I’m friendly to new players. Thank you for your consideration. I have been active for most of my time on Applecraft. I love the server, understand the rules, enjoy helping when I can, and enjoy the people. I guess I have been a quiet Applecrafter, although I think most people know me. I have played minecraft for about 6 years now and really love it. I like to learn new things, and figure out stuff. I'm prob much older than the base line but I am a kid at heart. I have been playing online games for more than 30+ years.